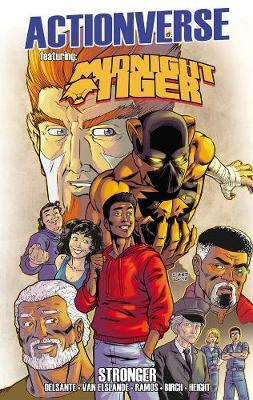 Midnight Tiger returns to Actionverse in the four part story arc "Stronger." Gavin Shaw, aka Midnight Tiger, must face-off against the new villains who are terrorizing Apollo Bay. Plus the legacy of the hero Lionsblood will play a huge part in Gavin's future as a hero!